it is like living in an LED HEAVENSSS!!!! i have galaxy ace 2. does it have a zoom feature in the camera? mine has none. please tell me whitch phone to buy? 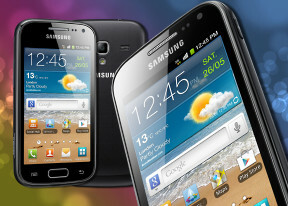 SAMSUNG GALAXY S DUOS or SAMSUNG GALAXY ACEII..?? I bought this phone about a month ago, and so far I'm totally loving it. I could have bought the SIII, but it's just too large to me, so I chose the Ace 2 instead... and it pleased me a lot.